We originally were on otres beach, don't stay on otres beach! It's loud and the vibe is not what we expected, really clicqy. We booked for 1 night here and stayed for 3, it was wonderful! 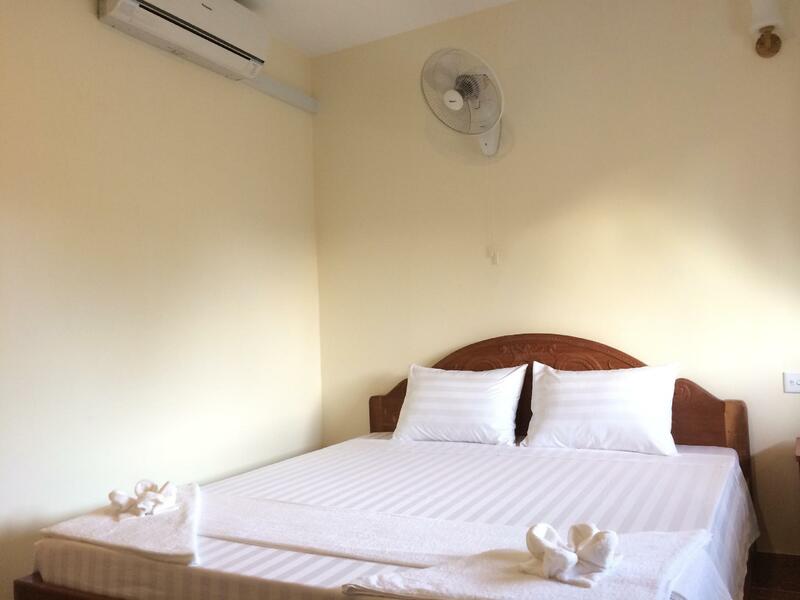 Comfy beds, great showers, nice staff and peaceful nights sleep. You are only 5 mins walk from the beach yet the quality of accommodation is 100 times better. There is a great restaurant just around the corner from this place called Khmer kitchen. There is also a great coffee place called wake and bake just opened, really nice couple running it :) stay here, it's perfect, in between otres beach and otres village! 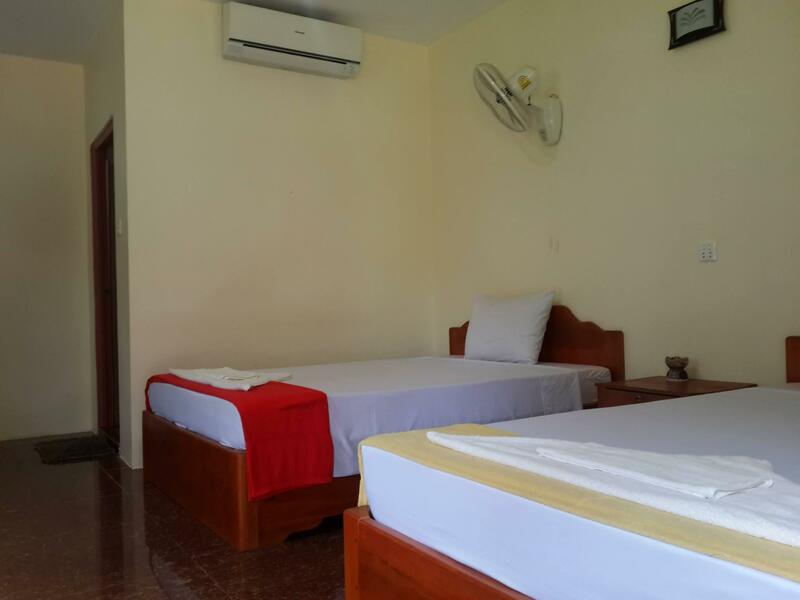 Accommodation is close to bars and restaurants in the village and only a short walk to the beach. Rooms have good facilities for the money, fridge, kettle and tv. The rooms would benefit from a bit of a deap clean and paint to freshen them up. Very nice people own this place. They speak Thai; their daughter is sometimes available and does speak pretty good English. The place is very recently renovated. Pool is brand new and is very clean. Very nice place to catch your breath and relax for a day or two. Bungalows were cute and off the main drag so were quiet except for the last night we stayed when the owner’s friend had a celebration on New Year’s Day but it did stop at midnight. First room had some ants in but we were moved no problem. Room was generally clean and there was hot water. Was good location near bars & restaurants and close to the beach. Paid more than usual as New Year so not great value for money but at the usual price would be. The TV had several English channels. A kettle was provided but there were no cups or tea bags. A very nice and peaceful place in the Otres Village. The staff was helpful and at the reception they spoke quite a good English. The only thing missing were mosquito nets, since it was very hot during the night, and without the net you couldn't open the window. 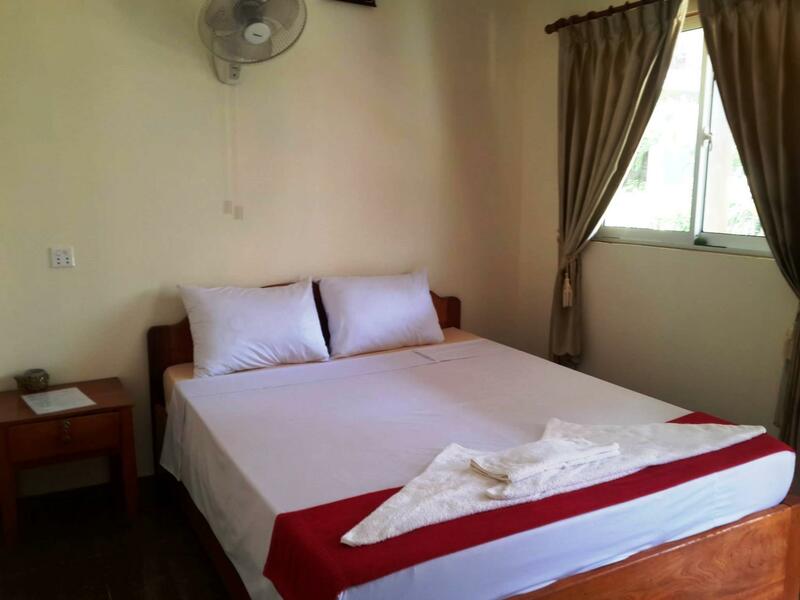 Moonflower Bungalows are situated smack bang in the middle of Otres Village which makes it a perfect central location to get to things like Otres 1 Beach, Lonely Beach, Otres 2 Beach, Otres Market. The village itself has plenty of food options, and even a pharmacy. The bungalows are nice, clean, secure and have hot water but I found the bed hard/uncomfortable. The staff are super friendly, helpful and very efficient. It has more of a resort feel to it than other bungalows in the area and the price was a little higher than I wanted to pay, but to be expected for time of year. My wife and I stayed for 5 days at the MoonFlower and it was excellent! Clean, affordable, quiet and charming. It's a 8 minute walk from Otres Beach, with a few restaurants around. Paul, the manager, was super friendly and attentive, from arranging tours and motorbikes to go to Sihanoukville (15 min drive) to giving some ice to put on my wife's sprained knee. Great stay! We would come back here. First rent a scooter if you want to immerse yourself unto the craziness of Suhanoukville. Second you can walk to the best beaches ( in order of preference): Otres 2, Otres 1 and the sadly dirty public beach - the locals never clean up after themselves. We really enjoyed it here and will come back. Beach towels provided each day for free, towels in room also for free each day. Very close to beach and motorbikes to rent for cheap. Man on reception very helpful and kind. Ended up here 3 nights and would have defo stayed longer! Spent 3 nights here, 5 mins from otres beach. Bungalow was clean, provided us with towels to shower plus two beach towels each day. Only 5dollar to rent a bike for 24 hrs, the man on reception is very polite and helpful with any questions or bookings you may have for buses/tours. Bungalow also has hot water and fan in each room. Would 100% recommend! Good place to stay between otres1 & 2. Each about a 20 minute walk along the beach in opposite directions. Nice, quiet & comfortable. Not much to do in the town though, the owner sorted us out a tuk tuk to sihanoukville for the evening. If you look for a quiet place after sightseeing and you are not looking for a night life, this place you will find as paradise. It' s between Otres 1 and Otres 2 you will find wide and and quite empty beach, a few shops and restaurants. Nice and helpful staff. Each bungalow has nice balcony surrounded by the tropical garden. we stayed 2 nights, it was clean and cheap and nice to stay. The beach was walking distance from the hotel and in fact Otress beach is the much nicer and more quiet beach. not so crowdy. We loved it there. And for partying we took a tuktuk in the city one night or tok a motorbike, which we rented from the hotel perfect! New build, Otres village, chill vibe. Moonflower is in Otres village, a short walk to the wide open beach, which is stunning. Our bungalow was new and very clean, but poor air flow and no AC = hot and stuffy. (Stay all day at the beach). No tv, but adds to the chill vibe. Nice outdoor seating in front. Hotel restaurant is ok, but there is better cheaper options in the village.